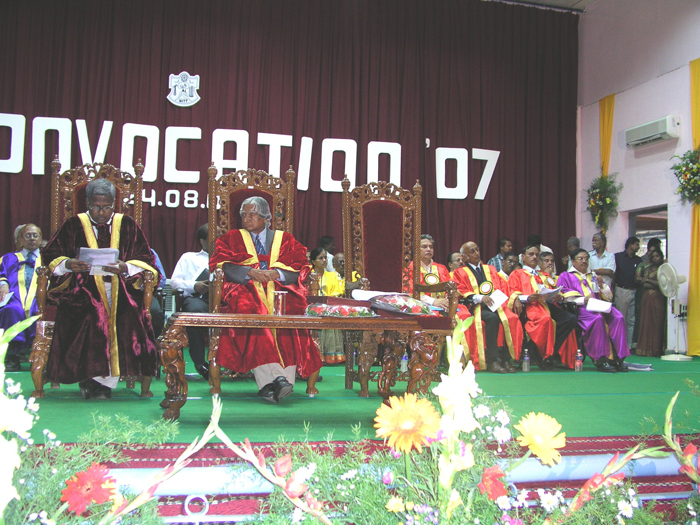 Third Convocation is scheduled on 24 August, 2007. 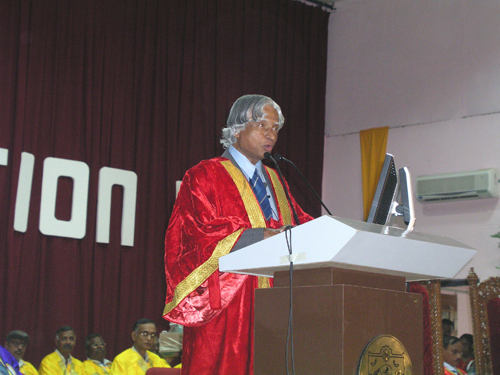 The Chief Guest is former President His Excellency Dr. A. P. J. Abdul Kalam. Please indicate through email convo2007@nitt.edu about your arrival and accommodation requirements. 24-08-2007 12.30 P.M. Lunch for Graduands @ B-Mess (Coral Hostel) Hosted by NIT-T.
24-08-2007 2:30 P.M. Attendance for the Graduands at BARN Hall . Please be present in the Hall before 2:30 P.M.
Keep cell phones switched off inside the BARN Hall. 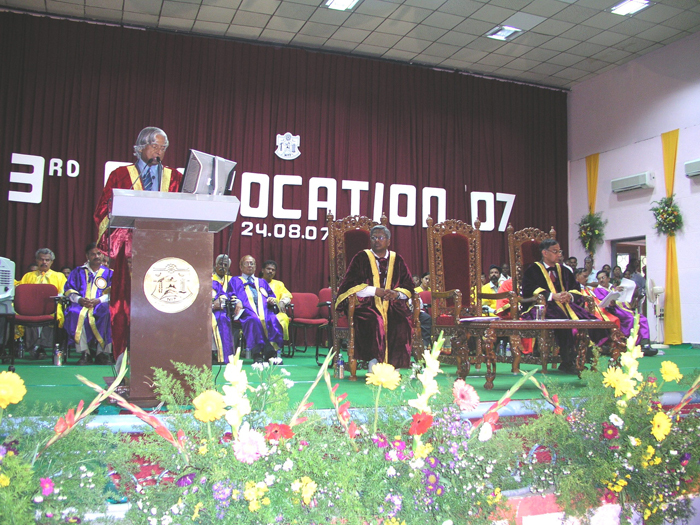 Since the duration of the Convocation is restricted to 1:30 hours due to the limited time of the Chief Guest, only Ph.D. graduates and Gold medalist will receive their Degree / Certificates on the Dias. Others will receive their degrees where they are seated, from the concerned faculty in-charge. Cooperation is requested from everyone. Those who would like to stay with their friends in hostel limited accommodation is available in common rooms - GARNET-A, AGATE, OPAL. Double rooms are available in IMTI Guest House, Thuvakudi - Allotment is done by the institute in this facility. Otherwise some hotels are suggested here and phone numbers are given for making your own arrangements. * Non-circuit branches - Automobile Lab, Mechanical department.